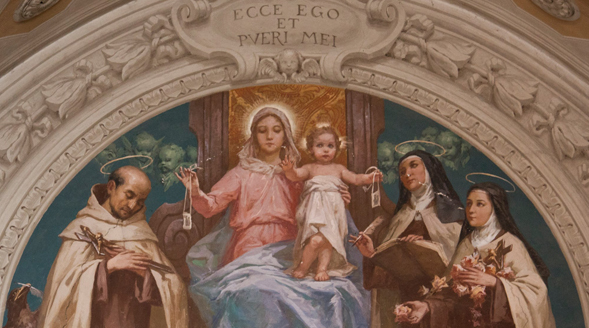 The Carmelite Order is one of the five ancient Religious Orders in the Catholic Church, and first one to be dedicated to Mary, who sought God’s will in profound silence and did it with all her heart and thus became the mother of all the disciples of Jesus. Mt. Carmel in Holy Land, symbol for prayer, silence and solitude, has always attracted god-seeking people. There were always solitary hermits or communities of monks on Mount Carmel, living a life of prayer and contemplation, inspired by the life and spirit of prophet Elias and his followers from early days of Christianity. They lived as hermits in the numerous caves there from time immemorial. In the beginning of the 12 century a few men living on the slopes of Mt. Carmel organized themselves as the Brothers of Our Lady of Mt. Carmel The written history of the Order up to A D 1200 remains however shrouded in the lives of Latin hermits who lived in the caves of Mt. Cannel, in silence, solitude and to witness Gospel Mystery of Interiority. It is believed that St Berthold assembled various monks living scattered on Mt. Carmel into a community and St Brocard, his successor, requested a norm of life for them from St Albert, the Latin Patriarch and Papal Delegate of the Holy Land and this was granted in 1209. Contemplation - living out their special calling Eventually they migrated to Europe, especially due to the threats of marauding Moslem armies in the region, and their leader in England in a difficult moment of their existence, received a vision from Mary with the command to wear the Holy Scapular as a sign of deeper commitment to Gospel values and therefore of one’s personal salvation. That becomes down the centuries a true symbol of authentic love of God in prayer and of taking upon oneself the yoke of service in imitation of Mary, the true disciple. Pope Honorius III confirmed this rule in 1226-27. Pope Innocent IV, who introduced certain modifications into the rule in order to suit it to the new circumstances and time, later approved it in 1247. Pope Eugenius IV mitigated this Alberto-Innocentian Rule in 1431, after the pest known as ‘black death’, at the request of the Superiors of the Order. From then on there were several attempts to go back to the pristine observance. As a result there arose many reformed Congregations. But they did not last for long, as they could not achieve their aim fully. The Carmelite Order is called in the Church to live, witness and promote the mystery and beauty of Contemplative - prayer of Jesus through the communitarian life and apostolic initiatives. The main apostolic activity they involve in is responding to the spiritual needs of the clergy, religious and laity by retreats, counseling, preaching, institutes of spirituality, media apostolate as well as missionary and parish social apostolate whenever the local church requires. Moved by the teachings and life witness of Saints Teresa of Avila and John of the Cross, both eminent doctors of Spiritual life in the Church, the Order moves forward in service of the humanity. 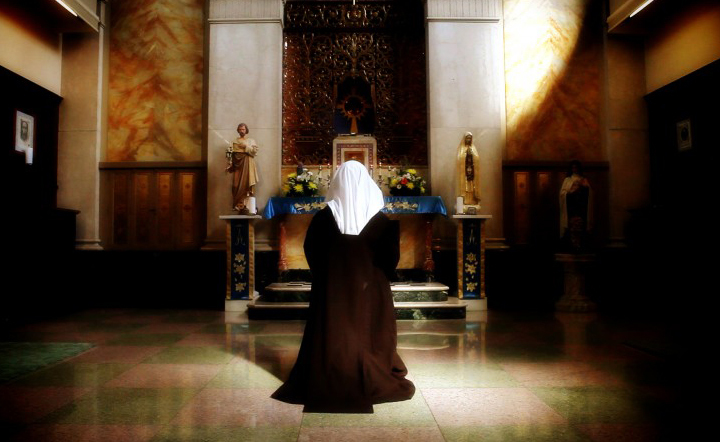 The first priority of the Carmelites is Prayer and Contemplation. They are also engaged in ministry and other missionary activities. In other words, it is an affirmation that as a flower blooms with light of the Sun, the human life blooms fully, only when it is totally open to God. Human person is capable of greatest growth and able to live a high quality of life and love only when he is open profoundly to God, as was Jesus. Thus the Carmelites affirm that the holiness is not what we achieve by our efforts alone, but what happens to us when we meet God in the intimacy of the heart and do His Holy Will. Prayer is not merely what we say to God and ask of Him, but an intimate and perennial friendship with Him, being present to Him, whom we know loves us. It is an affirmation that it is possible to meet God for you for me and for every one right now. We, through our ministry of the spiritual life uphold the inner worth of the human person. We defend the right and dignity of every human being to be a God’s child, God’s image. We are committed to build a society where people rise beyond every form of human selfishness and enslavement to live in peace and harmony with oneself and with others as a community of disciples of Jesus today. 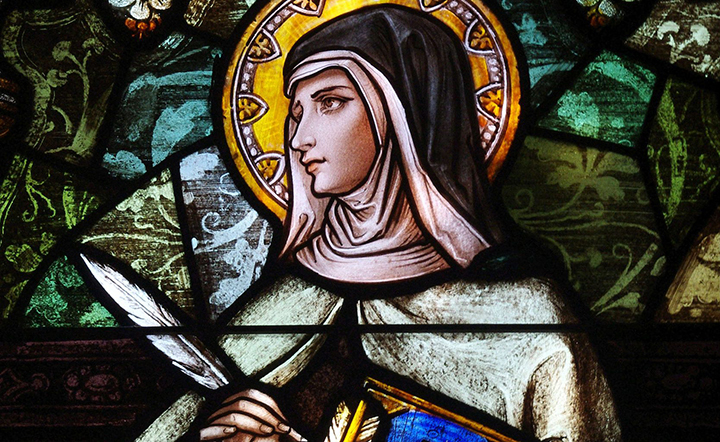 Saint Teresa of Jesus (Saint Teresa of Avila) is the foundress of the Discalced Carmelite life as it is known today. 1515 - Teresa de Ahumada born at Ávila, in Spain. 1536 - Enters Carmelite Convent of the Incarnation (under the Mitigated Rule), Ávila, as a novice. Regards the next 20 years as a period of semi-conversion. 1556-7 - Final 'conversion'. First contact with the Society of Jesus. 1562 - Founded the first convent of the reform, St Joseph's in Avila, under the Primitive Rule of St Albert. Lives there until 1567. Drew up her own Constitutions. 1565 - Greater part of the Life written in its final version. The Way of Perfection begun. 1567 - Authorisation by the Carmelite General for the foundation of further convents of the Reform. Primitive Rule and Constitutions approved. 1568 - Teresa assisted in the foundation of the first Discalced Carmelite Friary in Duruelo with St John of the Cross and Fr Antonio of Jesus. 1562-82 - Founded Discalced Carmelite convents throughout Spain. 1577 - The Interior Castle written. (Revised 1580). 1582 - Dies in October at Alba de Tormes.